Your TV can serve as a display of great art pieces. 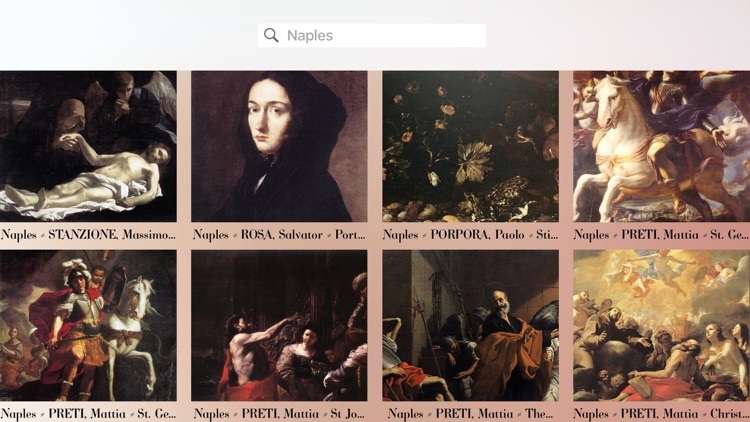 Regardless of the medium or time period, it's easy to find Art you're interested in with these Apple TV apps. 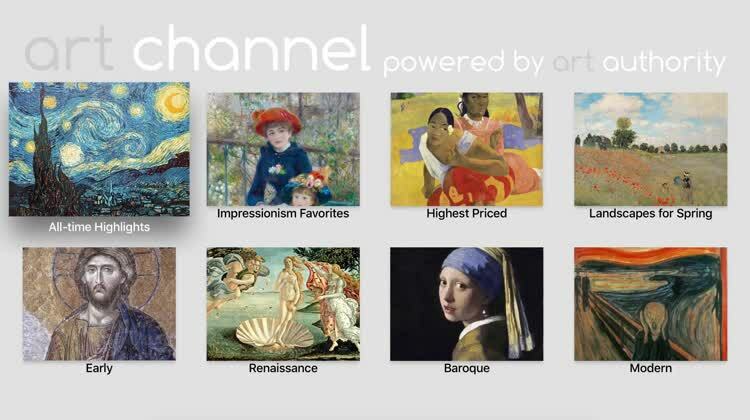 Art Channel powered by Art Authority puts spectacular works of art in your home. 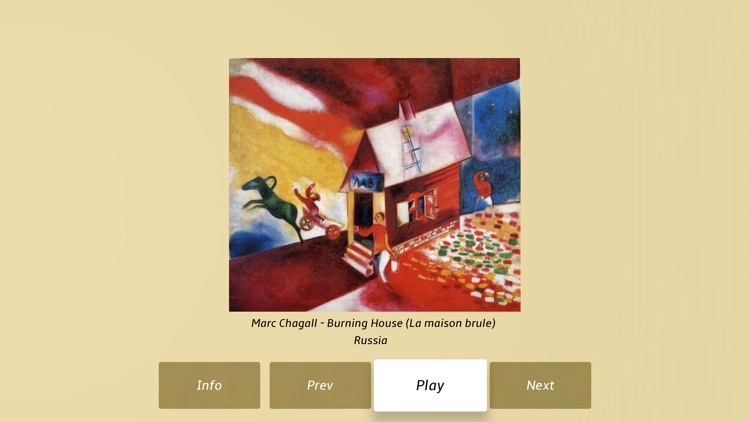 Select from specific channels and then view the artwork individually, as a slide show, or in a video with music. 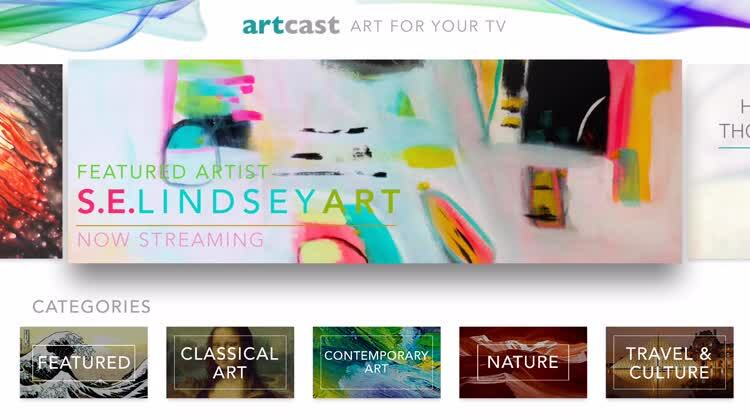 Artcast has an enormous selection of paintings and photography to view on your Apple TV. New pieces are added weekly with collections from galleries and museums with over 30,000 beautiful works to enjoy. 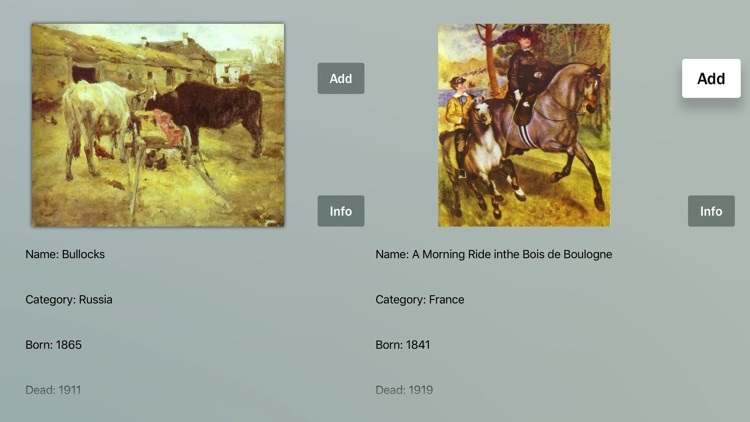 Sotheby’s for Apple TV lets you explore famous works of art from their exhibitions around the world. 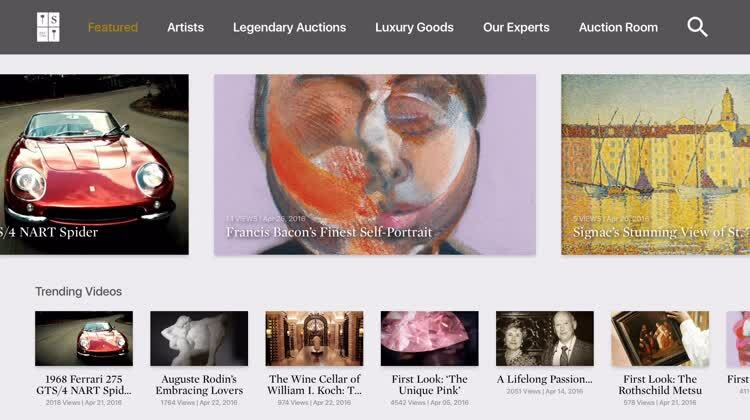 You can view featured items, specific artists, legendary auctions, and more from the comfort of your couch. 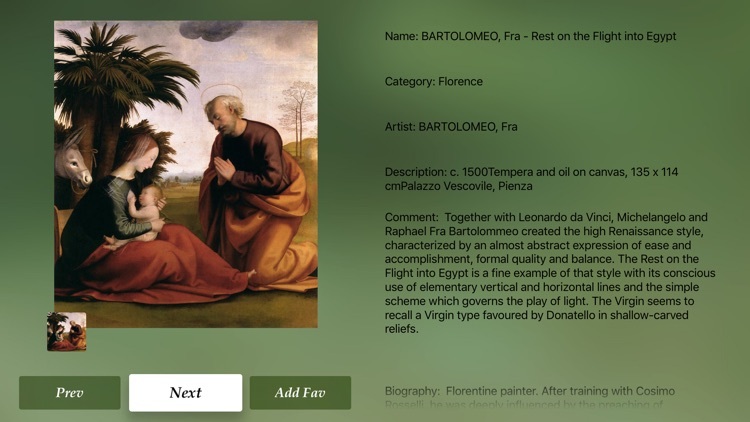 Art Legacy provides over 100 famous works of art for you to enjoy through animations. 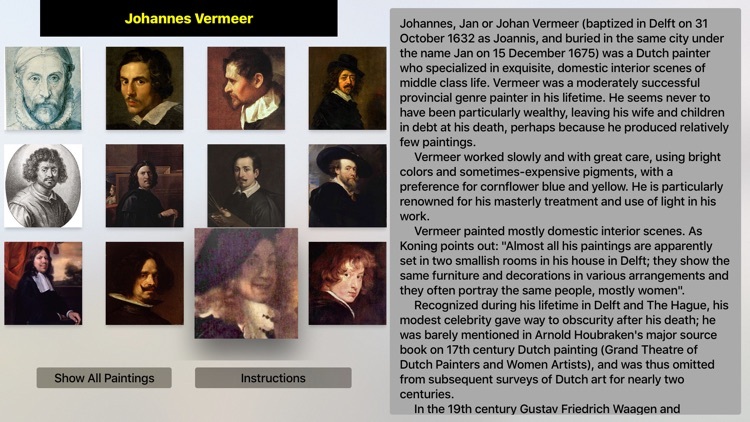 The app has detailed information about the painting, background music for an added effect, and a timeline and description of each piece. 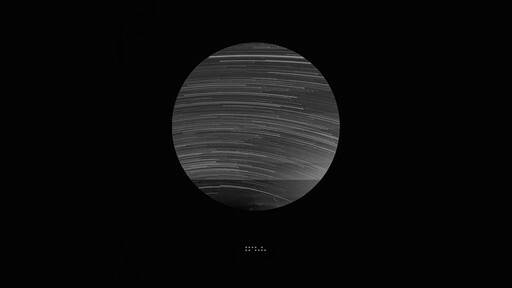 Artsy Shows provides a look at gallery and museum exhibitions worldwide. 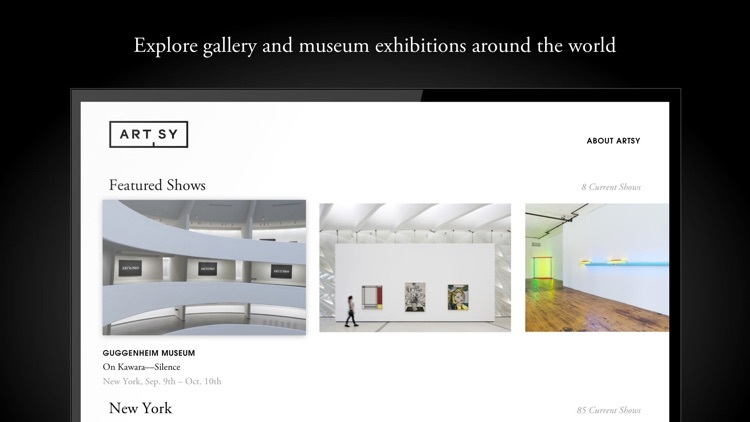 Browse through the featured shows or look through the locations of specific cities. Art Gallery Party brings together featured pieces, enjoyable collections, and both famous and upcoming artists. Browse through beautiful images and save your favorites. Enjoy art on your TV from galleries around the world. When you aren't using your TV, why not use it to display interesting and inspiring paintings, photographs, drawings and more? It's the easiest way to bring culture and art education into your living room. 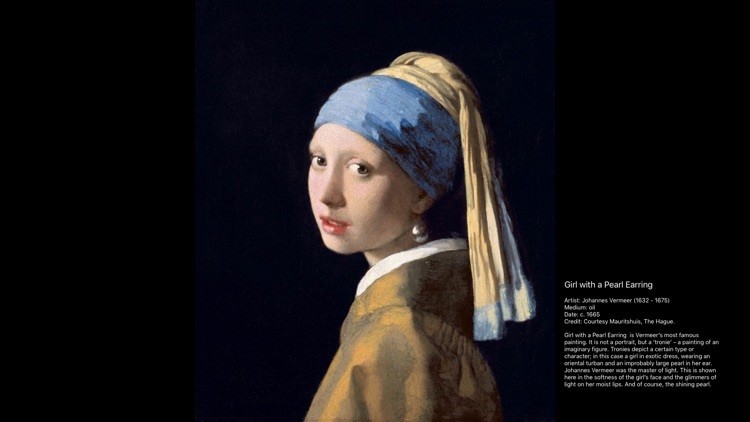 - Features over 10,000 high quality images of famous artworks from the National Gallery of Art, J. Paul Getty Museum, Rijksmuseum, Mauritshuis, and NASA with more coming soon. - Create and view a personalized list of your favorite pieces. 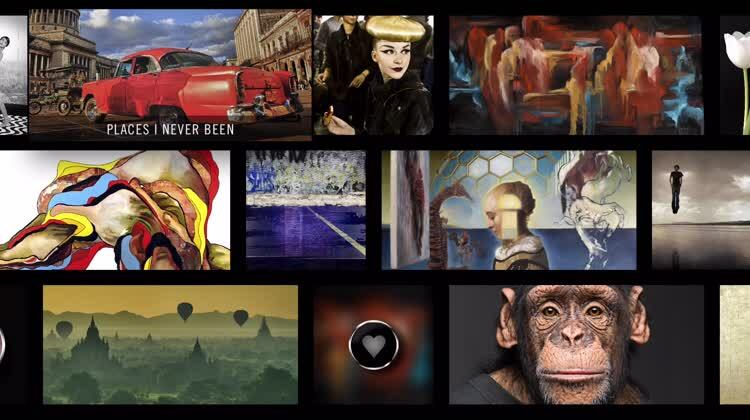 - View a slideshow or manually swipe through art from thousands of different artists. 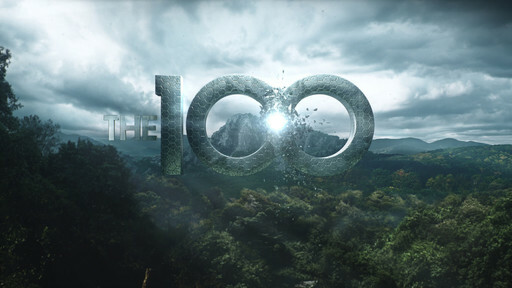 Best of all this app and all of its content is available for free for everyone to enjoy. If you like the app and are able, then we ask you to support continued development on the app and content by becoming a patron. 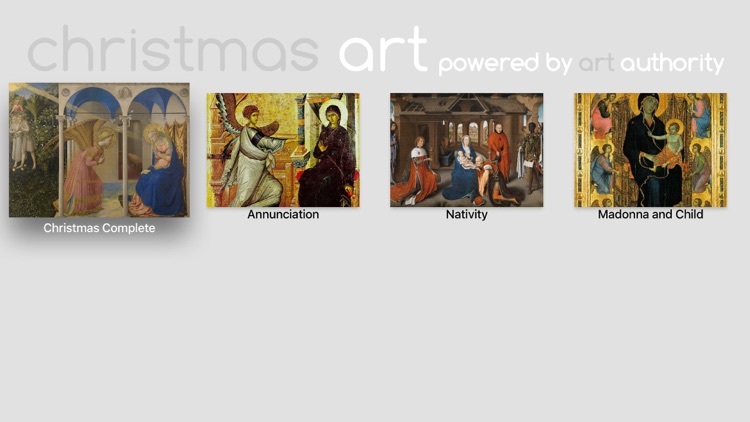 Immerse yourself in the top classic Christmas works of art from the Art Authority collection. Over 700 years worth of yuletide paintings from master artists like Fra Angelico, Botticelli, Brueghel, Rembrandt and Gauguin. Sections on the Annunciation, the Nativity, and Madonna & Child, plus the Complete Christmas. • Detailed information on the works, including title, artist, date, size and location. Just tap on any full-screen image. Beautiful art galleries from the greatest artists. Enjoy paintings from well know artists in fullscreen. 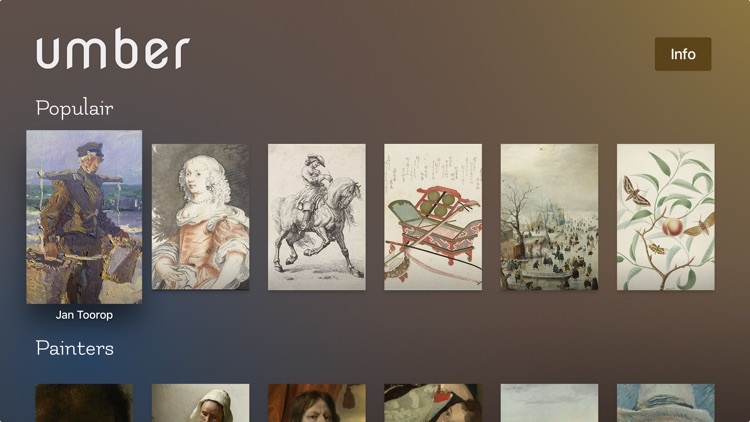 Explore the world's finest masterpieces, over 800 years of art from the collection of the RijksMuseum in Amsterdam, the Netherlands. - Umber will add more art from the greatest artists. 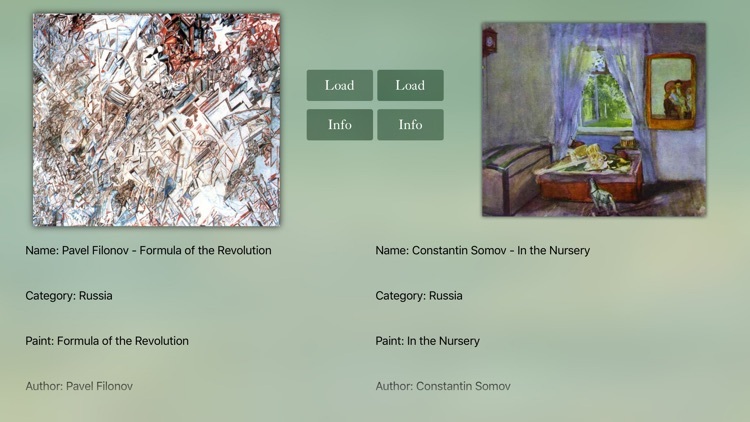 artcloud is a free and easy way to be social and stay current on art events around the world, browse works from thousands of galleries, and manage your own personal collection. artcloud’s Live Stream functionality enables you to post and view art events from around the world, allowing you to see and be seen. From gallery openings and art fair after-parties to studio visits and live mural painting, you will never miss a beat. 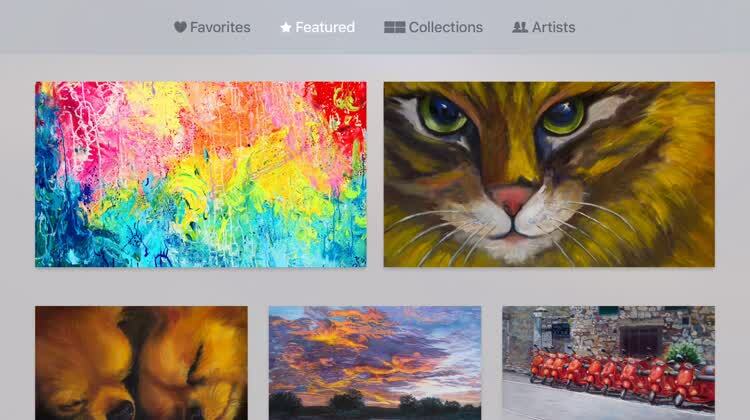 access artcloud’s marketplace which hosts thousands of global galleries. Browse their collections and follow your favorite galleries to stay up-to-date on their latest inventory. 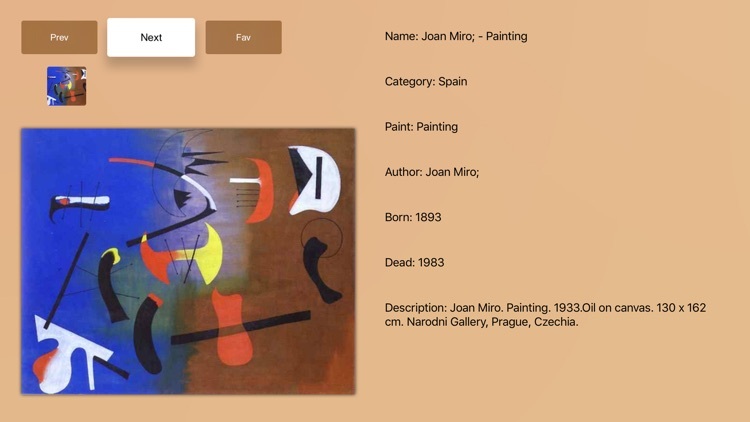 Localize your search and connect with galleries in your current location to inquire on a piece, or schedule an appointment. already have an artcloud account? 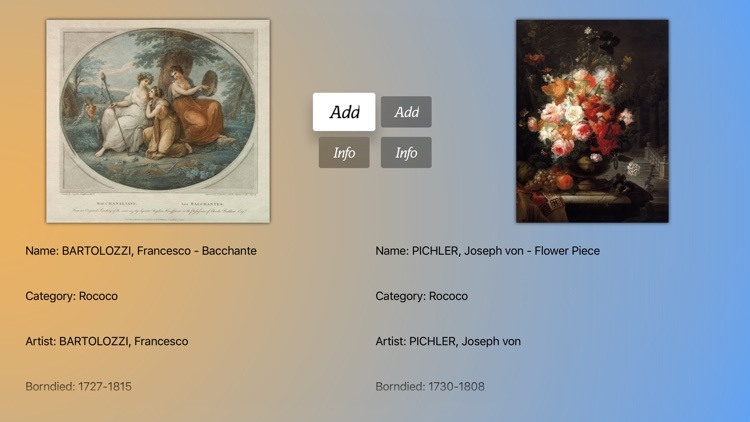 you can continue to manage your inventory through the app, along with invoicing, payment processing, and you can even email tear sheets to potential collectors. 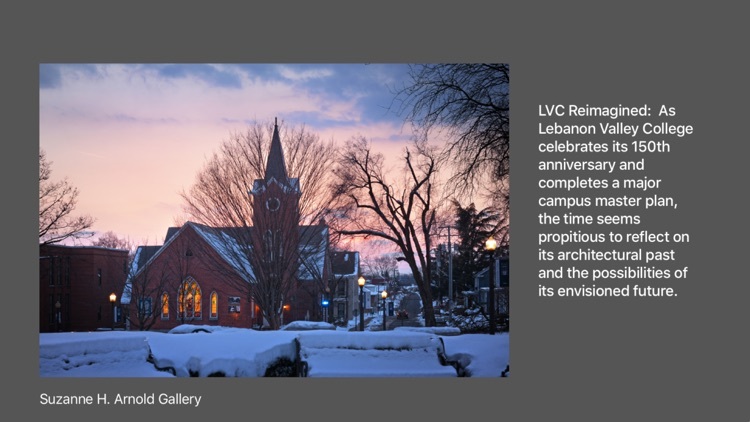 Ideal for art fairs, client visits, or any business that takes you outside of the gallery. 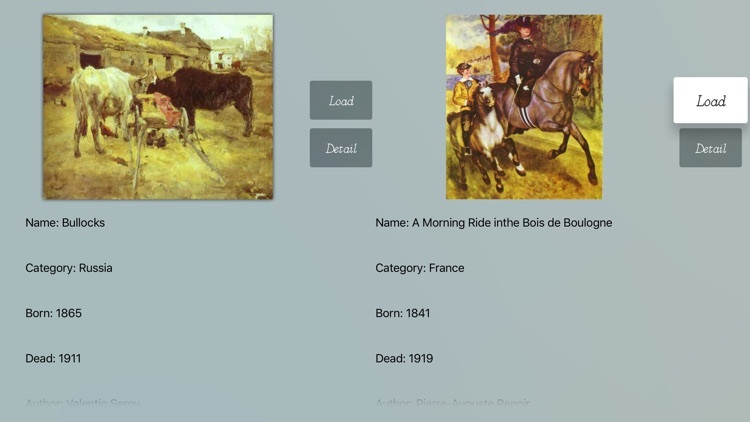 Enjoy a collection of the works of twelve prominent French Impressionist artists. 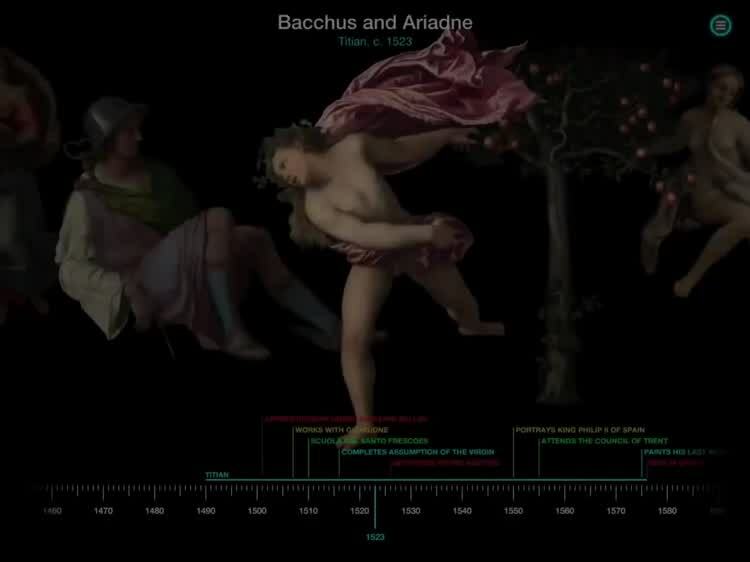 Twenty-five of each of their most famous paintings can be viewed as full-screen images. - "Swipe" images for quick viewing. - 300 great reproductions included. 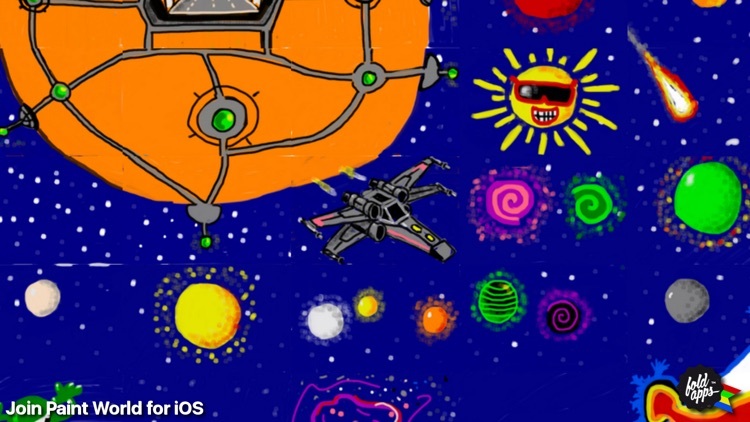 Artyst – a real treat for art appreciators or those with a creative bent. 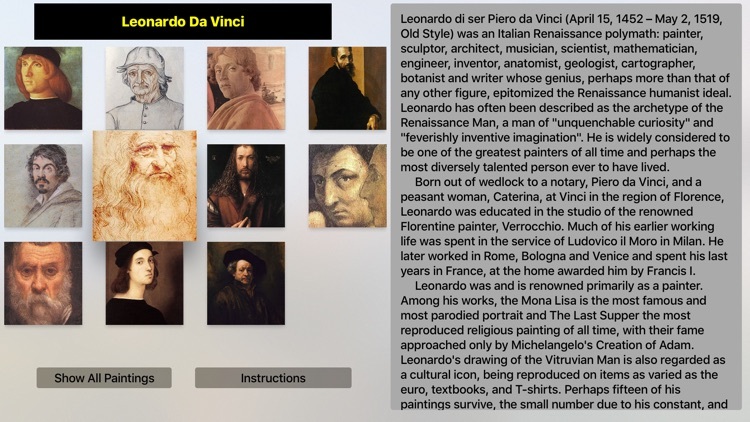 This Apple TV application allows users access to slideshows of famous artists’ works, conveniently organized into separate folders and which include esoteric facts behind the creation of each masterpiece. Italian Art Advisor is a great collection with the most beautiful photos and with interesting detailed info. 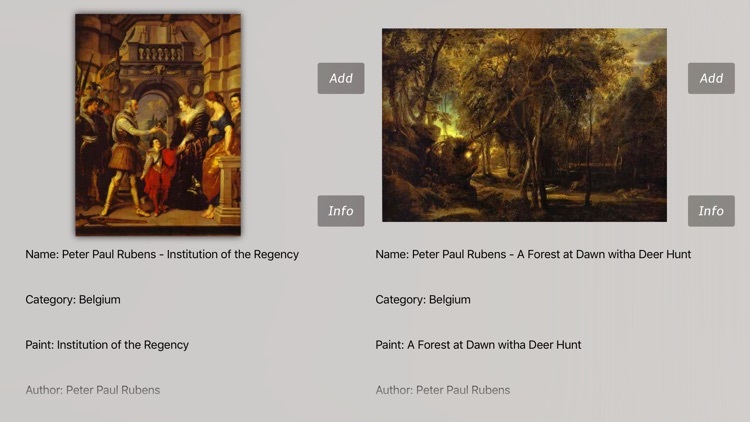 Rubens Artwork Adviser - a collection with most amazing photos and detailed information. 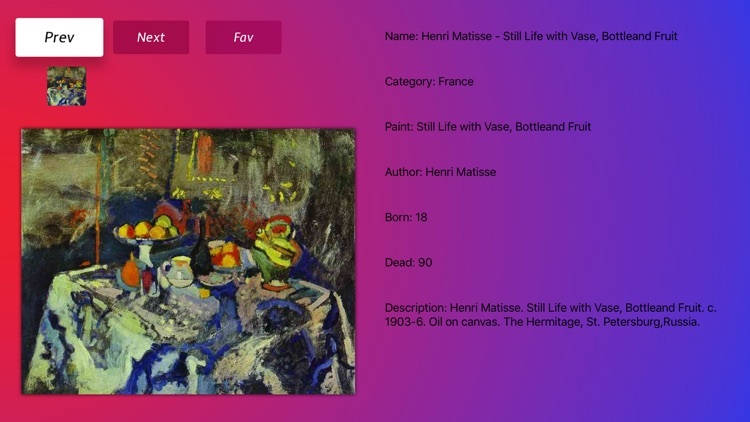 Matisse Art Gallery is a great collection with the most interesting photos and info. Rococo, less commonly roccoco, also referred to as "Late Baroque", is an 18th-century artistic movement and style, which affected several aspects of the arts including painting, sculpture, architecture, interior design, decoration, literature, music and theatre. 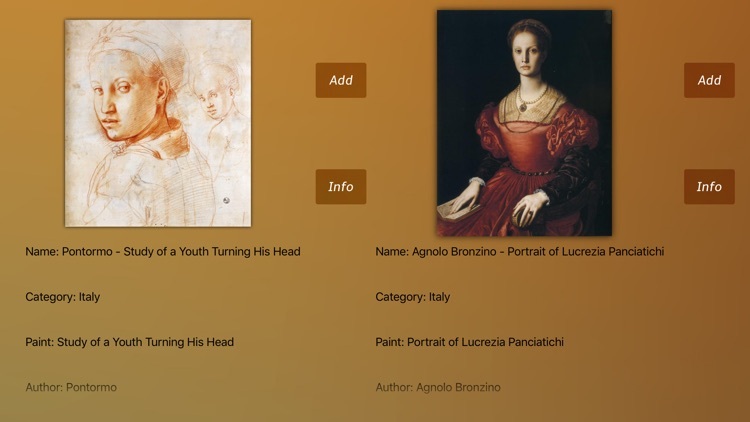 Italian Artworks is a great collection with amazing paintings by Italian artists like Modigliani, Botticelli, Caravaggio, Giotto and many others. 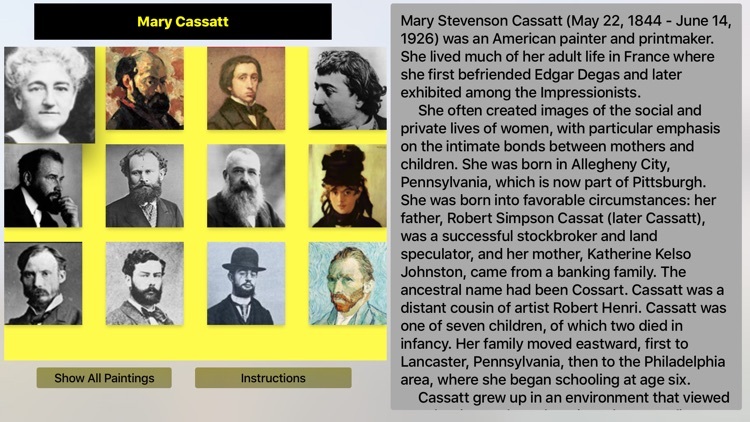 Impressionists Artworks Advisor - a collection with most amazing photos and detailed information. 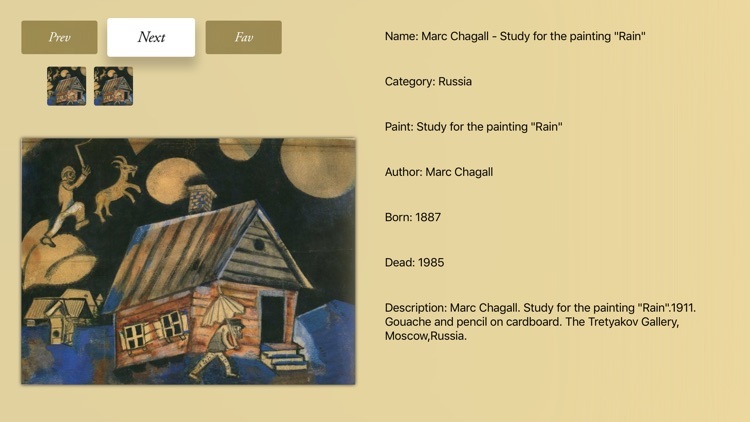 Marc Chagall Art Info is your guide with beautiful photos and detailed info. 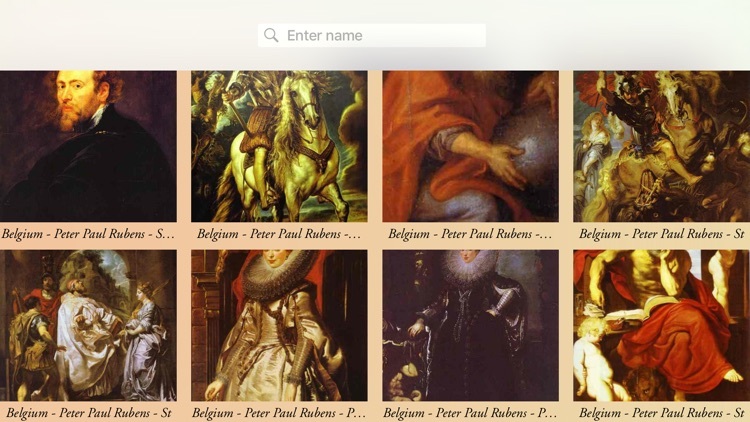 Rubens Art Advisor is a great collection with beautiful photos and with detailed instructions. Italian Art Gallery is a great collection with most famous Italian painters and their artworks. Russian Art Gallery is a great collection with most beautiful paintings collection of Russian artists. 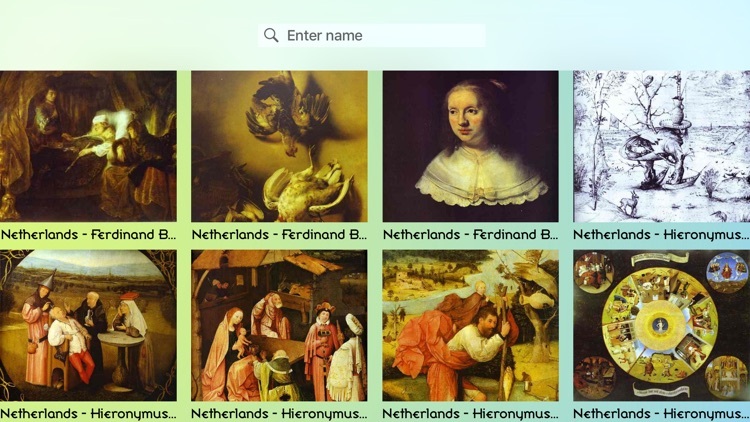 Netherlands Art Gallery is a great collection with most famous dutch artists and their paintings. Enjoy a collection of the works of twelve prominent Baroque artists. 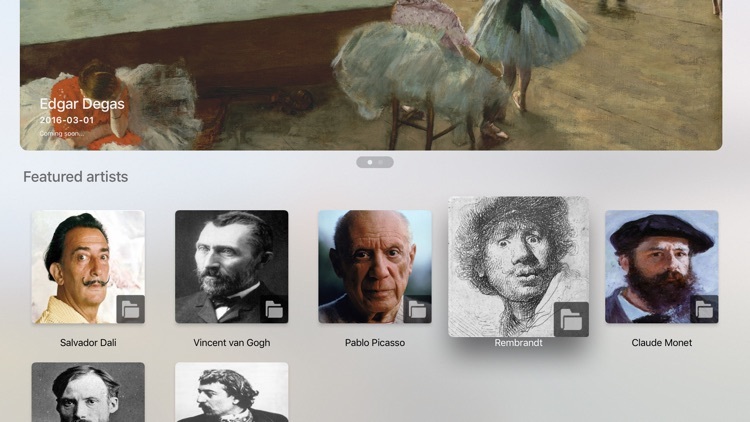 Twenty-five of each of their most famous works can be viewed in slide-show mode. 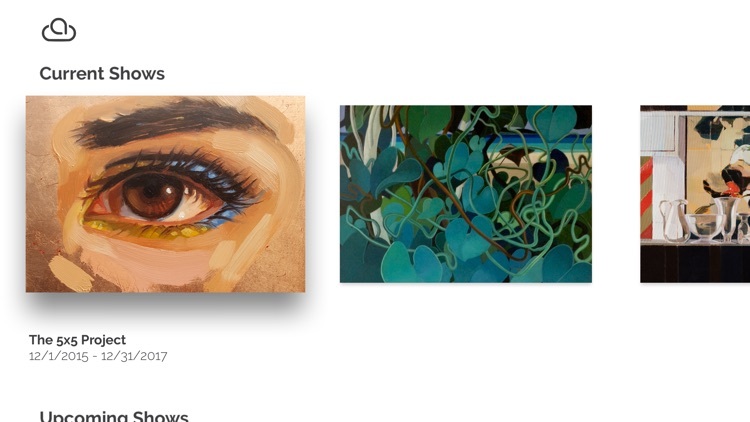 - Select to view just one artist's paintings or all. - Slideshow transition speed is variable. 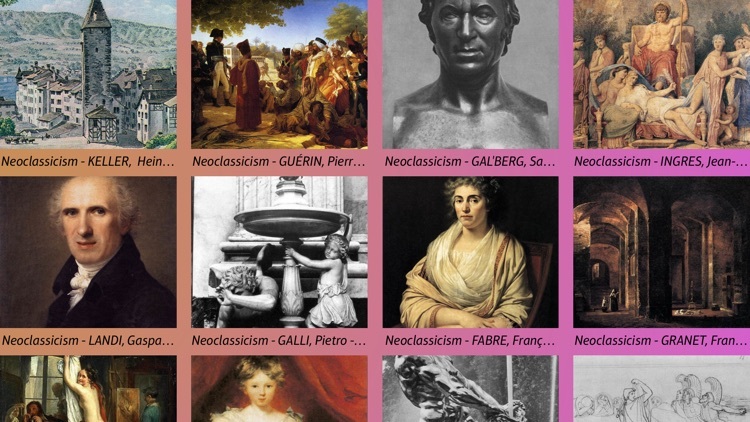 Enjoy a collection of the works of eleven prominent Ranaissance artists. 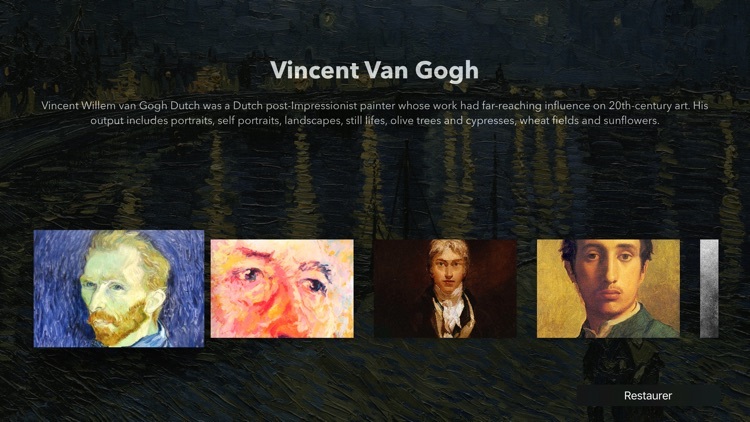 Twenty-five of each of their most famous paintings can be viewed in slide-show mode.